Tech For Justice Hackathon+ Veterans is a national event meant to bring about innovation and change in the veteran & justice communities. The goal is to bring together people from different backgrounds to work together to build the solutions that they wish they had. Tech for Justice was founded to help spur change in social justice by using technology. In previous hackathons we have seen groups make amazing apps and a difference in their communities. This time we are attempting to do so specifically for our veterans. Never been to a hackathon before? No problem. This guide is for you! This hackathon will be virtual and on-site, and will leverage online tools for collaboration, creation and having fun. Below are some of the tools that we are going to use for this hackathon. For those who are a bit less technical, you may have never heard of github. It is a way for distributed or remote teams to collaborate together as they code their open source projects. It is a great way to back up your projects and makes it super easy for anyone to help collaborate with you. We have a GitHub for hackathon project ideas and have also created a problem set to help teams get started (will be updated as we get closer to the hackathon). We will be using Devpost to organize submitted projects for the hackathon. Hacks are novel creations or solutions to problems and the purpose of a Hackathon is to create them. 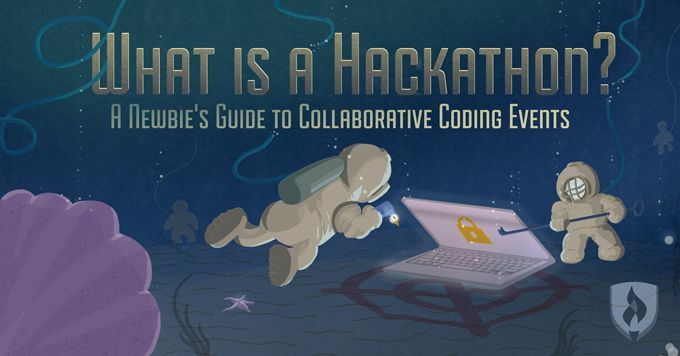 The word “Hackathon” comes from combining the words ‘Hack’ and ‘Marathon’, and implies a long sprint to create something useful in a single event. It doesn’t have to be about technology, but it often involves technology. Participants typically form groups of about 2-5 individuals, take out their laptops (if the event is technology themed), and dive into problems. At a hackathon the most important thing to remember is that you all approach the problem as equals. Even if you designate a team member to be a project lead, no one person can dictate what the team works on. For technical team members, understanding how to contribute can seem easy. These members are drafting designs and writing code. But for non-technical team members, there can be confusion as to where they should contribute. You can also look here, and here for more ideas. Hold a personalized initial meeting to clearly set out expectations and objectives; video chat would be easiest. Establish some basic guidelines for work and relations from the outset; what role will each of you take on? Establish common and realistic goals. Maintain active communication at all levels and channels of the team. Hold virtual meetings with the whole team to strengthen cohesion and synergy. Video Conferencing Software, such as Google Hangouts, Skype etc.